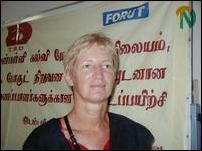 The FORUT’s Program Advisor in Sri Lanka, Ms.Trine Danielsen Keilland, inaugurated the training program at the Trincomalee agricultural training center, which is located at the Trincomalee suburb of Anpuvallipuram,Tuesday evening. Until now, assisted the development of pre-school education in the northern province but it has now extended its services to the eastern province, said Ms.Keilland. 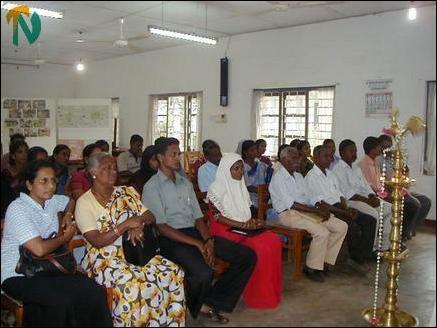 “Under the PSED program, training for Jaffna district co-ordinators concluded Wednesday. Training of PSED co-ordinators in the districts of Batticaloa and Amparai would begin after the conclusion of the Trincomalee training program," said PSEDC head, Mr.S. Ganeshalingam. 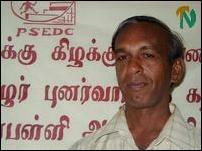 The PSEDC has its headquarters in Kilinochchi. The NE Provincial Education Ministry official who is in charge pre-school development unit, Ms. Jeya Thambiah, said 2,756 pre-schools are functioning in the Northeast with 4,502 pre-school teachers. The number of pre-school students in the region has been estimated at about 73,000. "FORUT as a development organization works towards the communities by mobilizing people to enhance their quality of life. 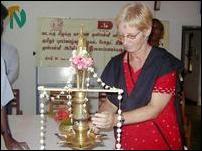 As an important part of this work, we emphasize to the people to work for the development of children," said Ms. Keilland. Ms. Keilland continued: " I am happy that this specific program involves all three communities in the country and also the international community through the Norwegian embassy in Colombo. They are funding this program. Mr. Ganeshalingam said that the PSEDC would support a move if the educationists formulated a national policy for pre-school education development. His organization has formulated the training program for all three communities in the NorthEast region. TRO's Trincomalee project officer, Mr.V.Kalaivarnan, presided. Its Trincomalee district coordinator, Mr.K.Mathavarajah, the President of the Trincomalee district branch of the Sri Lanka Red Cross, Dr.E.G.Gnanakunalan, and the provincial deputy director of education, Ms A.Vethanayagam. 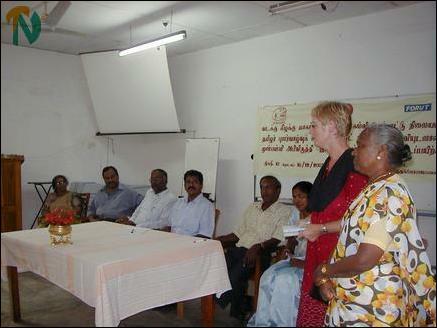 ( L-R) Ms. A.Vethanayagam, Dr.Gnanagunalan, Mr.K.Mathavaraja,Mr.Kalaivarnan, Mr.Ganeshalingam and Ms. Jeya Thambiah look on while Ms. Keilland speaks, assisted by her translator and resource personnel of the training program, Ms. Benedict.